SPC XII Report: Season 4 Off to a Flying Start! 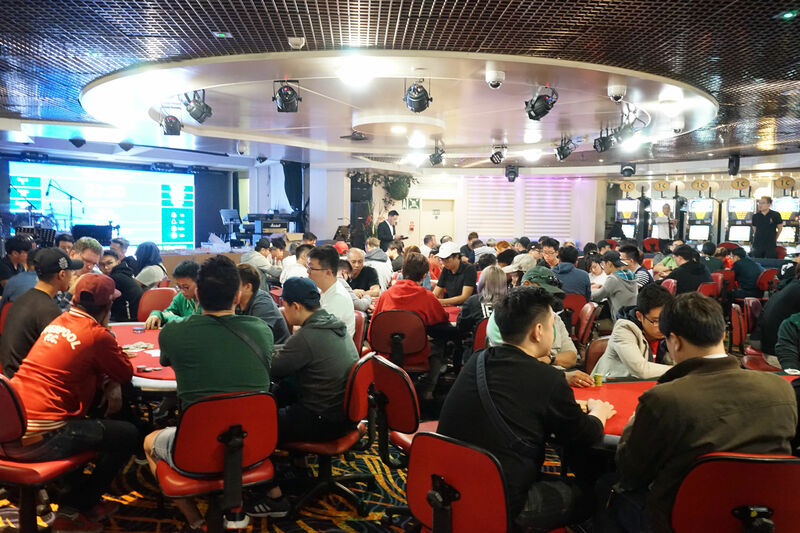 Season 4 of the Singapore Poker Championships breezed onto the high seas last weekend, and what an electrifying start to the season it was. The SPC hit its third consecutive 300+ Main Event field, numbers which augur well for the growth of the sport in our region. The weekend saw Jaden Lim nab the SPC XII Main Event after a deep FT run in SPC XI, while SPC heart-throb ‘Major’ Ricky Foo bagged his first series trophy with a triumph in the Short-Deck. Congratulations are also in order to Lim Min Soon, whom the SPC surprised with its premiere (and it has to be said, long overdue) Triple Crown Trophy - an award for winning the SPC’s High Roller, Main, and Side events. Also, we would be remiss to not afford (dis)honourable mentions to our merry band of Yellow-Shirts: a group of players in luminous yellow t-shirts with an unflattering (but not indecent) image printed on the front. At first glance they resembled an amateur lion-dance troupe. Or possibly they intended to picket and protest the quality of the SPC’s Copags. Turns out they were merely on the wrong end of a prop bet. It’s heartening to see that poker players, like Lannisters, always pay their debts. SPC XI Report: Season 3 Finale, Three Freshly Minted Champions! 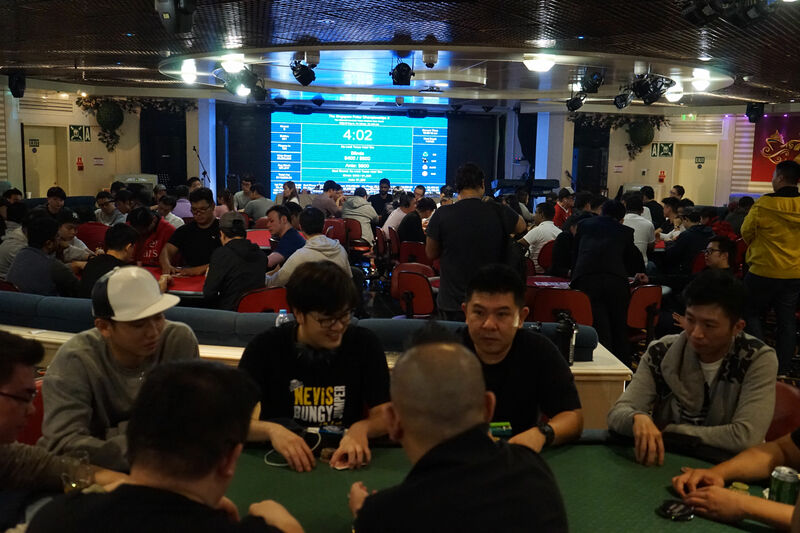 As the countdown to the end of the year begins, the Aegean Paradise played host to the Season 3 finale of the Singapore Poker Championships last weekend. The SPC crowned 3 new champions in the High-Roller, Main Event and Short-Deck tournament. Current POTY Mark Wong edged out a strong field to claim his first SPC High-Roller title. Benjamin Chew's first final table appearance saw him outwit veterans, and a field of 317 runners, to secure his first ever Main Event title. The Short-Deck tournament meanwhile, also saw a new champion crowned in Jack See. SPC XI: Season 3 FInale, December 14-16! Will you be our new SPC Natural8 Player-of-the-Year? It's time to stake your claim because the Season 3 Grand Finale of The Singapore Poker Championships is here! The weekend will blast-off on the evening of Dec 14 with the twice-yearly $1,488 SPC High Roller. Two starting flights of the Main Event follow on Saturday, before we close out the Season by crowning a champion on Sunday evening. Lest you forget, Sunday also features the spanking new and ultra-wild SPC Short Deck event on Sunday. In addition to all the juicy prize-pools on offer, remember that all prizes won for these events count towards the SPC Player-of-the-Year Challenge; courtesy of Natural8. If you're new to the challenge, the top performing player of 2017 walks away with free entries to all Main Events for the 3rd Season of SPC in 2018! Extremely tasty prizes also await players who finish inside the top five. As always, ice-cold free flow beers will available on BOTH Friday and Saturday evening, as will those merry on-demand Sit n' Gos and cash games. Do cross out those dates on your calendar, and join us for the all guaranteed thrills, spills and giggles that define an SPC weekend. Don't forget to join us on Facebook for the most immediate updates, if you haven't already: https://www.facebook.com/groups/1453372134973047/ See you on board! Call the good folks at NC Tours: +65 6214 2822, or +60 7254 3990 now to reserve your ferry tickets and cabins. Online bookings are also available here. As always, preferred ferry timings and cabins tend to sell out before the last week. Be sure to book early to avoid disappointment! SPC X: New Events, New Champions, New Records! 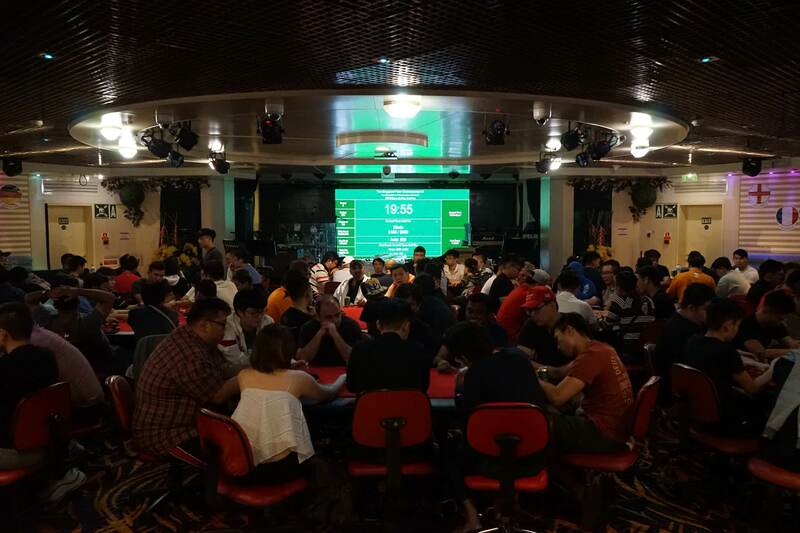 The M/V Aegean Paradise played host to the Singapore Poker Championships X once again on September 8-9, a full 8 years since the very first LWPS Main Event was launched on the high seas. With cabins sold out a full three weeks prior, there was little surprise when Flight 1A of the Main Event was sold out within five minutes of Level 1, with another 20 alternates standing by. After a flurry of last minute entries and re-entries late into the evening of Flight 1B, the Main Event had seated 321 runners for a new attendance and prize pool record. SPC X: BB Antes Hit the SPC, New Short Deck Side-Event, Sept 8-9! Dig out the hoody and those sunnies, as the Singapore Poker Championships X sets sail on the Aegean Paradise in a month! We're delighted to announce the introduction of some progressive and exciting tweaks to the friendliest tournament series in the region. For the first time ever, Big Blind Antes will replace traditional antes in the Main Event. You can find a short introduction on BB Antes here. We've also replaced the Head-Hunter event with a format that's taken the world by storm of late: Short Deck No-Limit Holdem. Check out a short primer here. Don't forget too, that the N8 Player-of-the-Year Challenge is in full swing, courtesy of the great people at Natural8. Cashing in any SPC Main or Side event awards points to the POTY Challenge; as does cashing in an on-demand Sit n' Go (freerolls and satellites are not qualifying events). If your name is at the top of the leaderboard at the end of December 2018, you win free entry to all SPC Main Events in 2019! So do join us for SPC X for another thrilling, laugh-a-minute weekend, as well as the customary free-flow beer; and all the cash games and sit-n-gos you can manage. Don't forget to join us on Facebook for the most immediate updates: https://www.facebook.com/groups/1453372134973047/ See you on board! SPC IX: Three New Champions; Season 3 Natural8 POTY Heats Up! 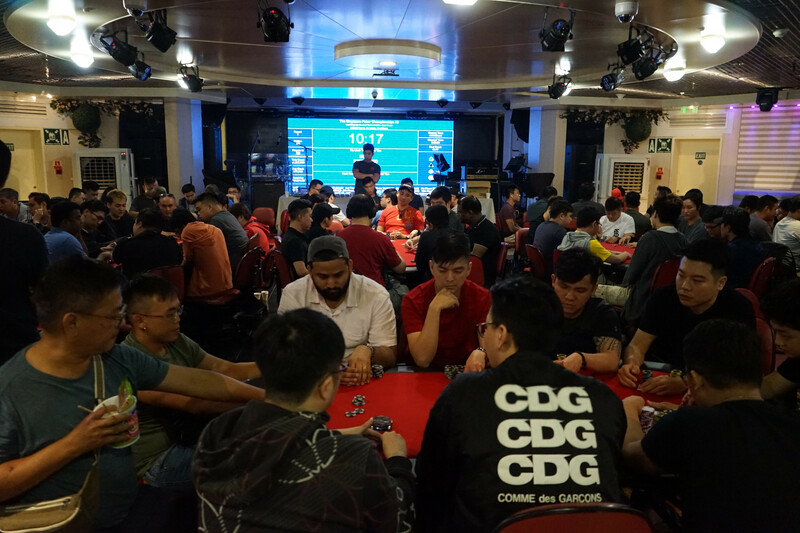 The Aegean Paradise once again played host to the Singapore Poker Championships last weekend, as Season 3 roared into full swing with SPC IX. The series crowned three new champions in the High-Roller, Main Event and Head-Hunter, all of whom were picking up their first SPC trophies. Community favourite Cheng Cher Whey beat out some extremely stiff competition in the High-Roller to prevail. 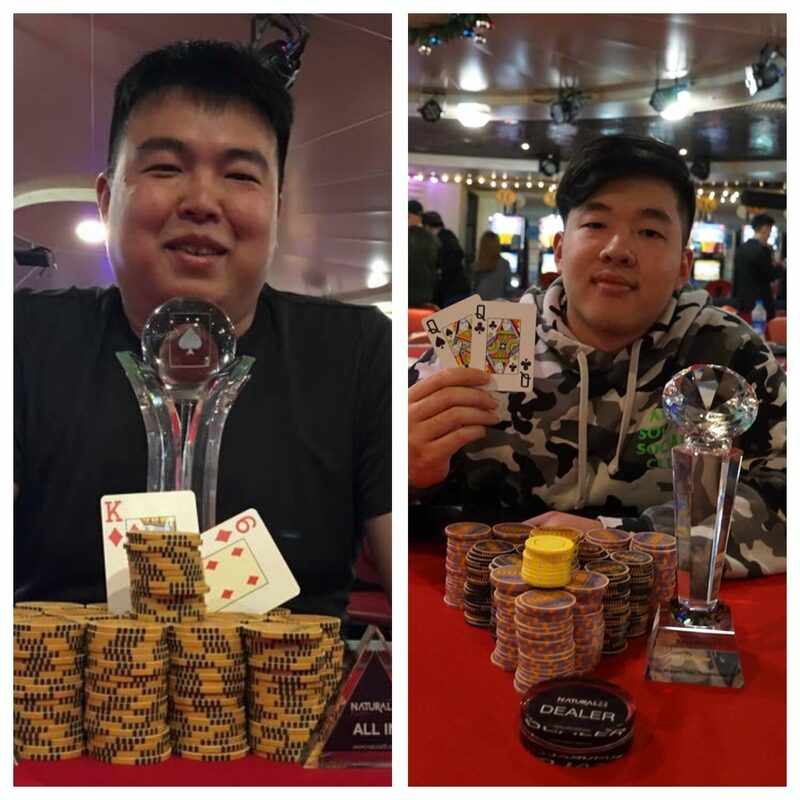 Lim Choon Koh, playing in his first ever poker tournament, outlasted 283 other candidates to win the SPC Main Event, while Dillon Lim, coming off an ITM finish in the Main Event, hopped into the Head-Hunter and found a way to triumph against a star-studded final table. Mark your calendars ladies and gents, because Season 3 of The Singapore Poker Championships is in full swing, with SPC IX just around the corner! The weekend will kick-off on the evening of June 8th with the uber-thrilling $1,488 SPC High Roller. Two Day 1 flights of the marquee Main Event follow on Saturday, before Day two of the Main Event and the ever-popular SPC Head-Hunter on Sunday bring the weekend to a close. Just a reminder that all prizes won for these events count towards the SPC Player-of-the-Year Challenge; courtesy of Natural8. If you're new to the challenge, the top performing player of 2017 walks away with free entries to all Main Events for the 3rd Season of SPC in 2018! Very attractive prizes also await players who finish in the top five. It also goes without saying that the customary free flow beers will be iced and ready, with Sit n' Gos and cash games available on demand. Join us for what will surely be another fabled weekend of heart-stopping tournament poker, and enough laughter to keep you smiling till September. Don't forget to join us on Facebook for the most immediate updates, if you haven't already: https://www.facebook.com/groups/1453372134973047/ See you on board! 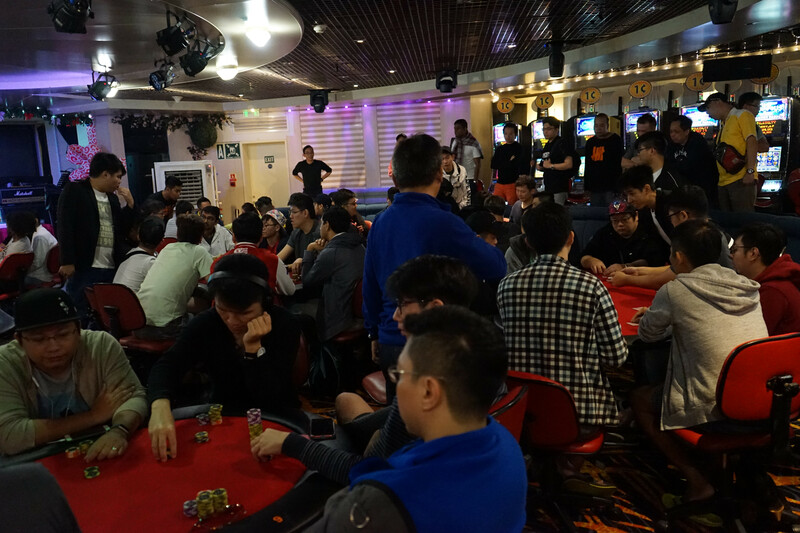 Another heady weekend just flew by, as the MV Aegean Paradise once again played host to the Singapore Poker Championships, now in its’ 8th instalment and 3rd Season. The heady weekend was made much headier by exceptionally daunting weather conditions on the high-seas, resulting in many a contestant green in the face well before the Main Event had gotten underway. Once the cards were in air however, all the queasiness appeared to have evaporated, testament to the medicinal properties of the sport. In spite of an unavoidable scheduling clash with Pokerstars Manila, the SPC VIII Main Event still managed to post some good numbers, which speaks volumes of the ever-growing popularity of the sport here. When the dust had settled on late entries and re-entries, the ME was packed with 250 runners, paying out a champion’s purse of $19,000. SPC VIII: Season 3 Sets Sail; Natural8 Player-of-the-Year 2018 Commences! Mark your calendars and fasten your seat belts! Season 3 of the Singapore Poker Championships kicks-off on board the MV Aegean Paradise come March 10-11! The Singapore Poker Championships VIII makes its way onto international waters in a month, for a spanking new season of the friendliest tournament in the region. A brand new season also means a fresh and shiny new Player-of-the Year Challenge, courtesy of the terrific folks at Natural8. Cashing in any SPC Main or Side event awards points to the POTY Challenge; as does cashing in an on-demand Sit n' GO (freerolls and satellites are not qualifying events). If your name is at the top of the leaderboard at the end of December 2018, you win free entry to all SPC Main Events in 2019! In addition to Saturday's Main Event, the SPC will also feature the popular Head-Hunter event on Sunday, as well as the customary free-flow beer; and all the cash games and sit-n-gos you can manage. Don't forget to join us on Facebook for the most immediate updates: https://www.facebook.com/groups/1453372134973047/ See you on board!